Work always comes first for Sheikh Nassir Adjalane. From an early age, he learned business was infinitely more important than having a personal life. But with pressure from an opponent on his board, Nassir suddenly has only one month to marry, or risk being voted out of his company. With everything he’s worked toward on the line, Nassir desperately needs a bride…and only one woman will do. Wedding planner Janna Davis never imagined she’d be summoned to the Middle East to plan Sheikh Nassir’s nuptials. But the outrageous sum he’s offered will finally give her what she needs to stand on her own two feet. As the planning gets underway, Janna is put off by Nassir’s businesslike manner, but she can’t deny his appeal. No matter what she’s feeling though, Janna has a job to do. Janna values her independence and refuses to fall for a soon-to-be married man, but what will happen when she learns that she is Nassir’s intended bride? Classic story of man meets woman but it doesn't go as planned. Great characters and even better plot twists. Would love to continue reading about Nasir and Janna. It's good passing time read but needs more back story to the couple... would like to see more of their intense interactions before the marriage and get vending to him. Otherwise it kinda leaves you hanging for more wanting the after what happened. 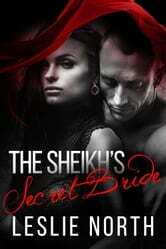 The Sheikh' Secret Bride has stunning twists and turns. A sizzling love story and an alpha male that comes from a powerful family. This is a story that has the right ingredients for a spicy read. Great start to a series that looks to be a scorcher. Loved the plot and characters in this book. Wanted to continue reading and couldn't put it down until it was finished.